FREE SHIPPING... GUARANTEED TO WORK or YOUR MONEY BACK! SCIENTIFIC STUDIES PROVE YARD GARD WORKS! SAFE, NATURAL INGREDIENTS! 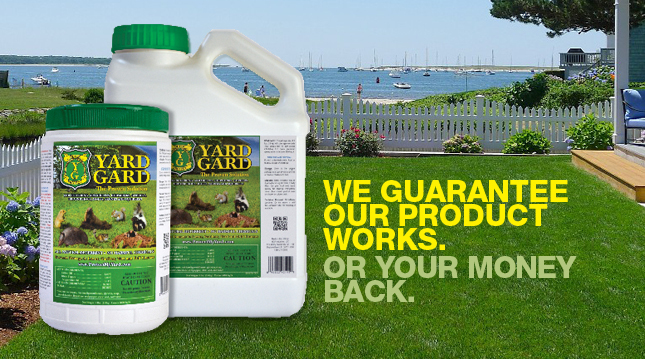 HAVE PEACE OF MIND WHEN USING YARD GARD! For more test data results, visit our "Help" tab, then click on the "Yard Diagnosis" section. FREE SHIPPING for orders over $38. Yard Gard gradually releases it's ingredients into the soil to create a barrier in the soil that digging critters would rather avoid. 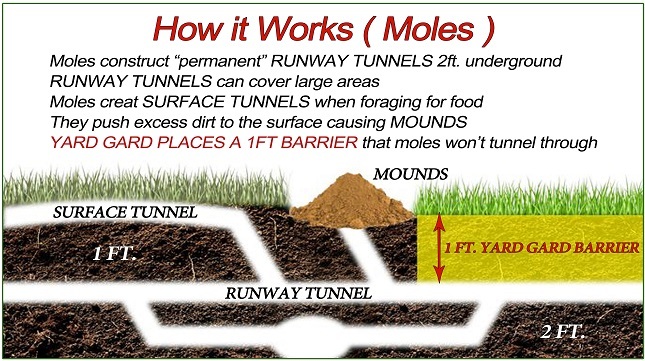 This barrier causes the animals to travels elsewhere to reach the surface, keeping your lawn green and healthy! Check out our test data and other information located under the "Help" tab, then click on "Diagnosis" and "How Our Repellents Work" tabs. Or call toll free, 1-855-665-3746. 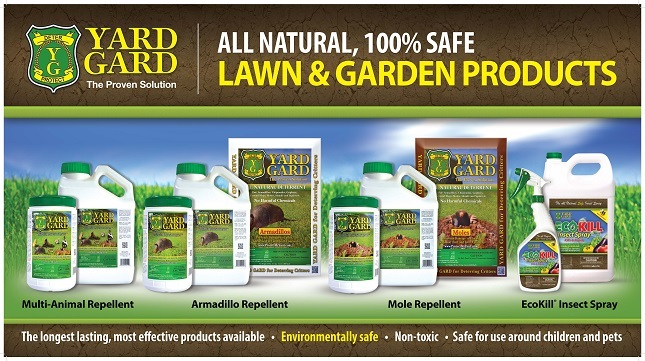 If you applied Yard Gard animal deterrent as prescribed and have not seen a decrease in animal activity after two weeks, call us toll free at 1-855-665-3746. We will work with you to solve the problem; replace the item you purchased with a new container or refund your purchase. Gardening Made Safe and Simple! Didn't think you could keep your garden healthy without spraying risky pesticides! Well now you can with Yard Gard's proven product EcoKill. We have developed the natural solution for bug control. 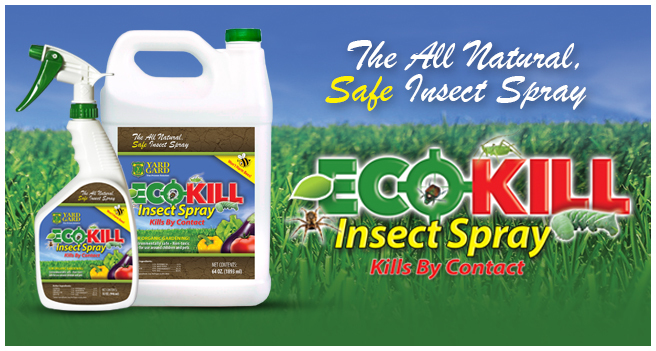 Unlike many other natural ingredient products, EcoKill truly works. Contact us today if you would like to know more. 1.855.665.3746 Ask for Charlie. Who Recommends EcoKill for Organic Gardening?